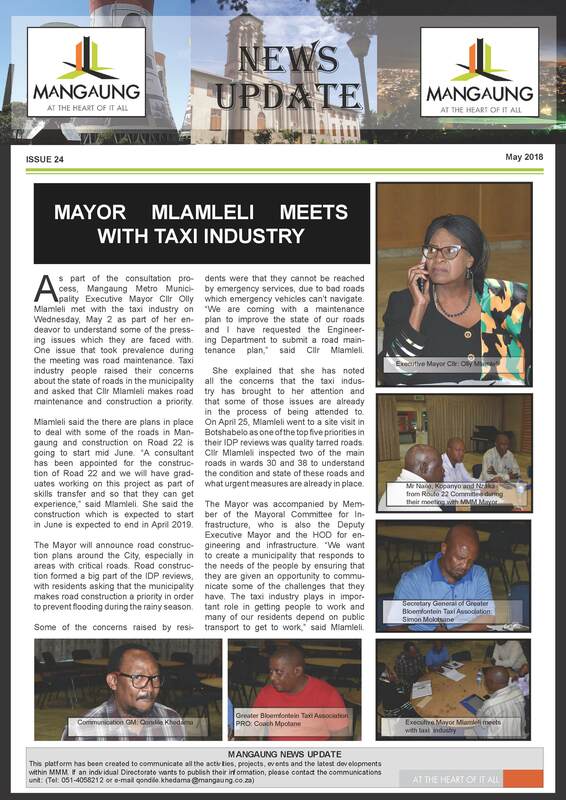 As part of the consultation process, Mangaung Metro Municipality Executive Mayor Cllr Olly Mlamleli met with the taxi industry on Wednesday, May 2 as part of her endeavor to understand some of the pressing issues which they are faced with. One issue that took prevalence during the meeting was road maintenance. Taxi industry people raised their concerns about the state of roads in the municipality and asked that Cllr Mlamleli makes road maintenance and construction a priority.